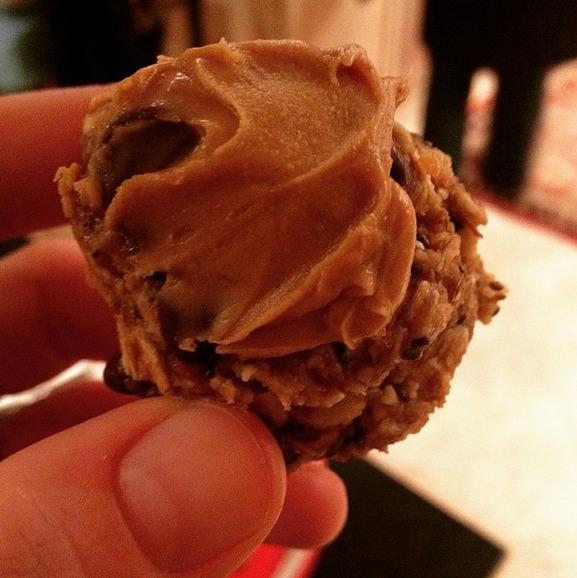 My latest go-to/annoying thing to rave about: energy balls. I usually work out before work and hit the train at around 6am, so I'm awake and need a little bit of energy (/motivation to get out of bed) to get to the gym and through my workout, but I'm not ready for a full-on breaky quite yet. Recipe is from this runner chick's 'Pink Cookies with Sprinkles' Blog here. Roll into small balls and keep refrigerated. I usually 'frost' with a little peanut butter on top because peanut butter. Enjoy!! They are great first thing in the morning or as a snack, or a quick and filling treat!